A loner in his all-white high school, Chinese-born Xing (pronounced “Shing”) is a wallflower longing for acceptance. His isolation is intensified by his increasingly awkward and undeniable crush on his only friend, the beautiful and brilliant Naomi Lee. Xing’s quiet adolescent existence is rattled when a series of disappearances rock his high school and fear ripples through the blue collar community in which he lives. Amidst the chaos surrounding him, only Xing, alone on the sidelines of life, takes notice of some peculiar sightings around town. He begins to investigate with the hope that if he can help put an end to the disappearances, he will finally win the acceptance for which he has longed. However, as Xing draws closer to unveiling the identity of the abductor, he senses a noose of suspicion tightening around his own neck. 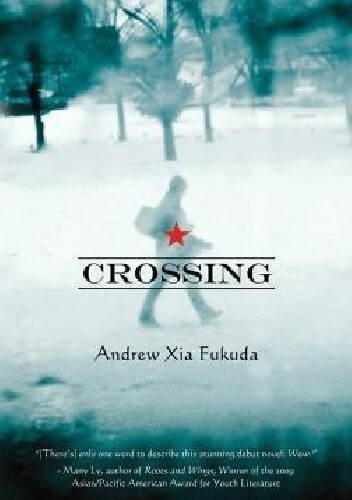 While Xing races to solve the mystery and clear his name, Crossing hurtles readers towards a chilling climax.